At the forum, the China-Germany Science and Technology Center, the Chinese Entrepreneurs in Japan, the Singapore Innovation Association, the Chinese Association of Science and Technology in Finland (CASTF) and other institutions’ leaders, had matchmaking meetings with leaders about the science and technology, and industry projects. The persons in charge from more than 10 overseas institutions who had signed the cooperation agreements with Tianjin Qiaomengyuan, will come to Tianjin for business investigation. The purpose is for further deep cooperation. At the same time, based on the introduction of talent, project implementation and the establishment of overseas service system, the two sides has exchanged the opinions and made good interactions. 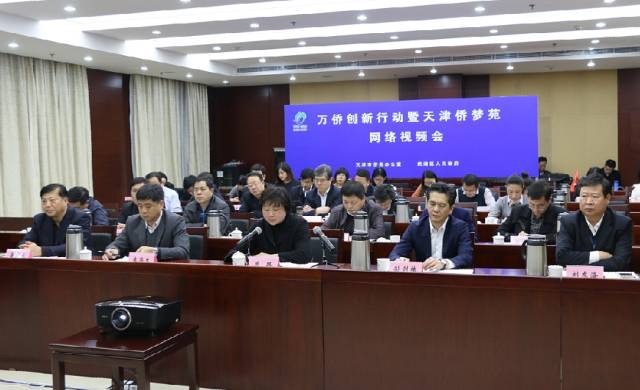 At the end of the meeting, Zhou Lu, Chief of the Overseas Chinese Affairs Office, introduced the general idea of promoting the construction of 'Wanqiao Innovation Action' and 'Qiaomengyuan' in Tianjin. 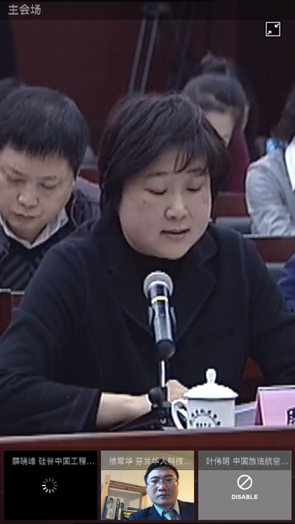 She pointed out that Tianjin Qiaomengyuan ' was established in November 2014, covering Wuqing District, located in the Beijing-Tianjin-Hebei spindle of cooperation and development. It’s based on the playing the advantages of overseas Chinese resources by Overseas Chinese Affairs Office of the State Council and the Tianjin Municipal Government and aids to develop major national strategies and serves for the Beijing-Tianjin-Hebei cooperation and development. Not long ago, Overseas Chinese Affairs Office of the State Council and the Tianjin Municipal Government issued the relevant documents to implement the innovation-driven development strategy, and put the 'Wanqiao Innovation Action' as an important content, and put forward the 'Qiaomengyuan' to create a wealth of overseas Chinese businessmen and overseas top-level talent gathering District, Wanqiao innovation and entrepreneurial core carrier requirements. During the construction of 'Qiaomengyuan', through the overseas Chinese to learn through the West and the unique advantages of foreign countries, Tianjin Municipal Government actively introduce overseas Chinese top-level talents and high-tech projects to build the 'world Wuqing'.